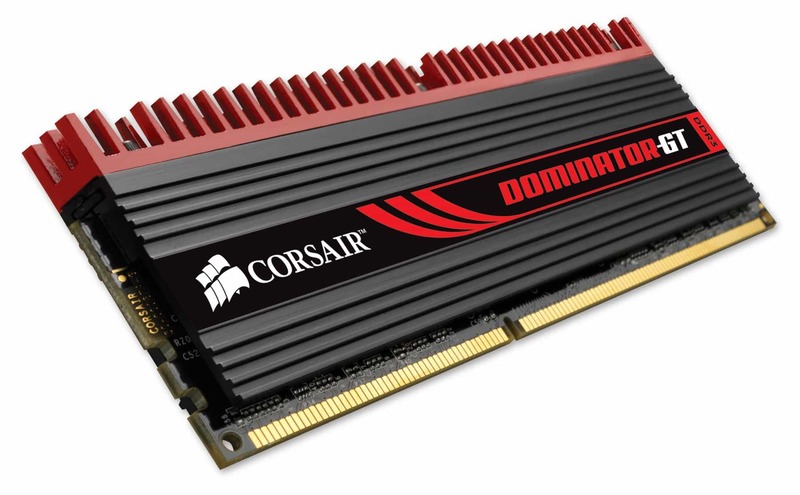 FREMONT, California December 14, 2010 Corsair, a worldwide designer and supplier of high-performance components to the PC gaming hardware market, today announced the launch of a new, highly overclocked, low voltage memory kit. This 4GB Dominator GT memory kit, implemented using a matched pair of 2GB DIMMs, is guaranteed to operate at 2133MHz, with latency settings of 9-11-9-27, and at a memory voltage of only 1.5V. We have seen an increasing number of requests from overclockers for memory that can achieve high clock speeds at lower voltages, stated Thi La, Vice President of Memory Products at Corsair. At 2133MHz, this 4GB memory is the worlds fastest commercially available memory at 1.5 volts. The new CMT4GX3M2B2133C9 Dominator GT memory kit, complete with signature racing-red livery, will be available within two weeks from selected Corsair distributors and resellers. This kit includes Corsairs patented DHX+ heatsink, as well as the GT Airflow module, for exceptional thermal performance. MSRP for this memory kit is $169.99 USD. The kits are supplied with a limited lifetime warranty and are backed up by Corsairs legendary customer service and technical support. Corsair’s innovative new DHX Pro advances their patented DHX and DHX+ technology, adding parametric data measurement and reporting to the advanced capabilities already included. All DHX-based modules feature a custom-designed printed circuit board (PCB) and high-quality heatsinks to cool the front and rear of the memory ICs, as well as the PCB. The cooling fins on DHX+ and DHX Pro equipped modules can be removed, allowing for a range of modular cooling accessories. DHX and DHX+ designs are covered by US Patent number 7,606,034. 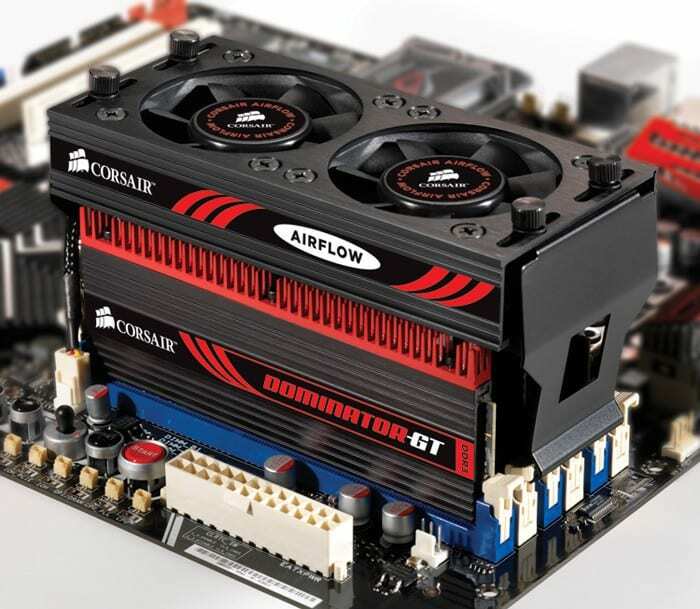 Founded in 1994, Corsair supplies high performance products purchased primarily by PC gaming enthusiasts who build their own PCs or buy pre-assembled customized systems. 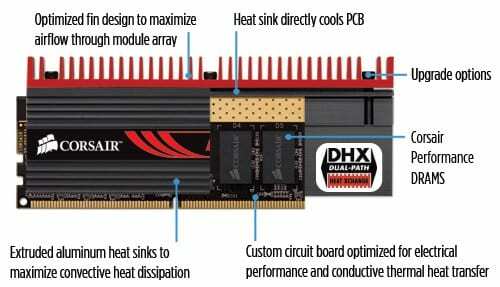 The company’s award-winning products include DRAM memory modules, USB flash drives, power supply units, solid-state drives, gaming audio products, cooling systems and computer cases.